Lately I seem to be reading and enjoying a lot of books, both fiction and non, set during the last half of the 19th century. I’ve just finished another terrific non-fiction story about Edith Minturn (nicknamed Fiercely) and her husband Isaac Newton Phelps Stokes. Set in New York City, Love, Fiercely, is much more than a story of the courtship and marriage of these two individuals, it’s a history of New York City and the über wealthy class of society of which they were a part. 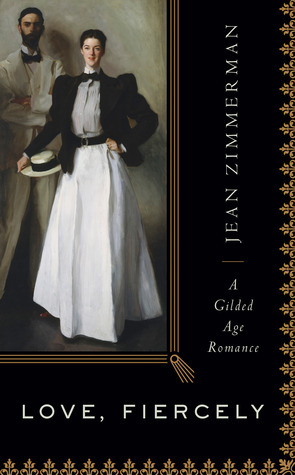 Jean Zimmerman has a gift for telling the life story of Edith and Newton whilst weaving a superabundance of detailed, historical facts throughout the narrative and never making the reader feel bogged down with information. The story just flows from her pen and sets a picture of how New York City evolved and changed during the lifetimes of these two individuals.